On Saturday, October 14, 2017, ESL welcomed twenty two students from different parts of the U.S., who were participating in a 2-day CoE open house organized for students who are interested in applying graduate program at the Ohio State University. Nearly 90 student visitors participated in the CoE open house and among 10 center tours, they had an option to choose up to two center visits, each lasted about an hour. ESL Agenda included a short overview presentation of the ESL, select lab tours and networking session with ESL graduate students. 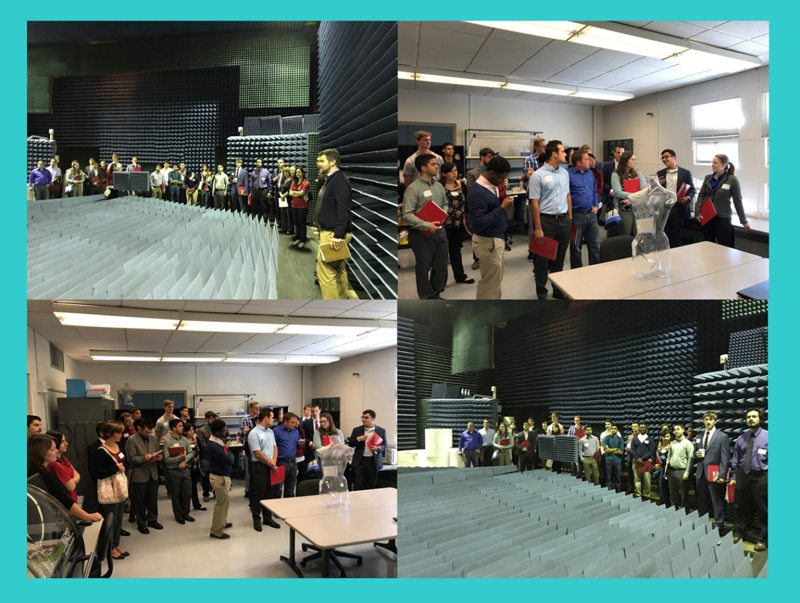 The program was led by Alissa Comella and Yesim Anter and tour hosts included Dr. Nima Ghalichechian, Alejandro Johnson-Eusebio, Spandan Shah for RF MicroSystems area, Ramy Tantawy for Circuit Laboratory for Advanced Sensors and Systems (CLASS), Vigyanshu Mishra for Wearable Antennas Lab and Dr. Andrew O'Brien for Anoechoic Chamber. The students had chance to network with ESL graduate students, Luyao Xu, Ryan Patton, Alejandro Johnson-Eusebio, Ramy Tantawy and Kendrick Henderson, who talked about their research interests and experience as a grad student at ESL. Photos from the event can be found on our photo library. Photo credit: Ramy Tantawy.